There is certainly evidence for relationships not being as stable as they once were. There are plenty of health benefits to marriage that those just living with a partner don't have, but we're afraid of the possibility of collapse. It's 2018, and when it comes to relationships, many people are coming around to the "whatever floats your boat" mindset. But an increasingly popular trend has many people scratching their heads: A good chunk of older adults who are partnered are now "living apart together." This trend, also called LAT, has picked up a lot of steam in the last year. In an analysis of 7,700 Wisconsin adults over the age of 50 that was presented at the Population Association of America last month, 8 percent of them were "partnered but unmarried"—and of that group, 39 percent of them were in LAT relationships. So what is a LAT relationship? It's exactly what it sounds like: couples who are deeply committed to each other but live in separate homes. Here's a look at why this works—and potential problems that might arise. The LAT trend didn't happen on a fluke: So many couples are embracing it because it works. As relationship expert Margaret Paul, Ph.D., explains, "It often works well because people can have their own time and space; they are each doing their own chores and each taking more responsibility for themselves, so they often end up having less conflict and [fewer] control issues." Alison Stone, LCSW, adds that she can see why LAT is a particularly attractive option for older adults, the ones embracing it the most. 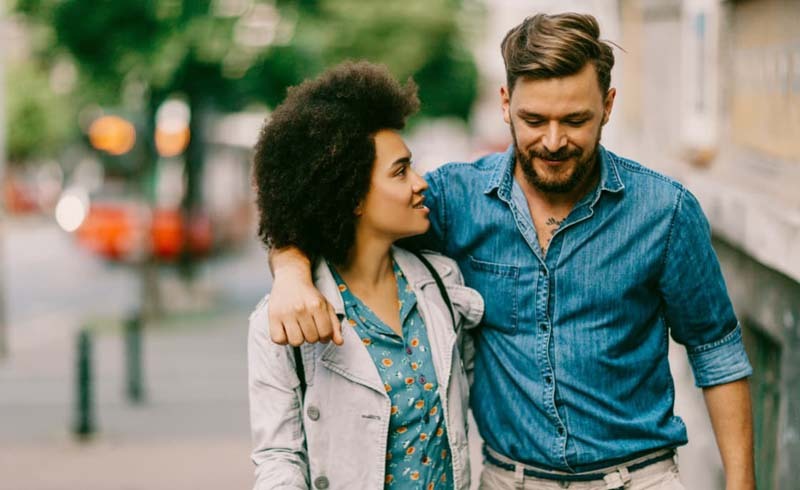 "It seems that most of the couples in these arrangements are in a phase of their life where marriage and/or living in the same home is less relevant than it might be for younger couples," she explains. "For older couples, being together can take on many different forms, and in some ways offers more flexibility than a younger couple in a traditional partnership. There are plenty of ways to get your needs met in a loving relationship without living together." Stone notes that one of the biggest benefits of LAT is a "having it all," of sorts. "They get to maintain their current routine and a degree of independence. They get to enjoy the benefits of companionship, friendship and intimacy without the responsibilities that typically accompany living together." Paul notes that LAT couples get that "distance makes the heart grow fonder" perk. "They have a chance to miss each other and not feel engulfed by each other. There is less a sense of obligation and more a sense of choice," she explains. For many, the LAT trend seems like a dream come true. But for others, it might be a less-than-ideal living situation. "Whether or not it’s unhealthy depends on their intention: Are they living apart to avoid things they need to deal with, or are they living apart because it feels loving to both of them to do this?" says Paul. "This is what determines whether or not it’s healthy." [post_ads]Stone adds, "Like all relationships, there is the potential for unhealthy circumstances and various complications to arise. But generally I'm more of a 'live and let live' person. If it's working for you and not hurting anyone else, it seems pretty good to me."